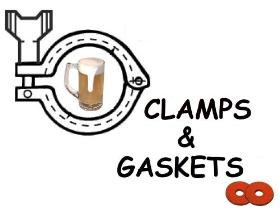 Clamps & Gaskets: News Roundup for Weeks 15/16, 2016. 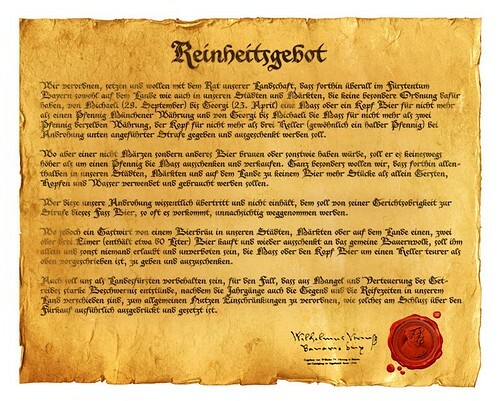 23 April, 2016, marked the 500th anniversary of the Reinheitsgebot, the German beer “purity law.” Why didn't Wilhelm IV, Duke of Bavaria, include yeast as an ingredient of beer? 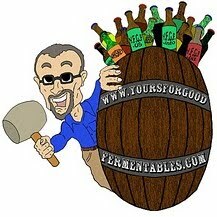 —Via Jeff Alwroth, at All About Beer. “The era of consumption without consequences is over.” 175 world leaders sign the Paris climate accord. Anheuser-Busch InBev purchases well-regarded Italian 'craft' brewery Birra del Borgo, adding to its portfolio of small European and American 'craft' breweries. Birra del Borgo, which produces about 13,000 hectolitres (11,100 barrels) a year, will become a wholly-owned subsidiary of AB InBev. A people's definition of 'craft' beer. Craft beer is a beer that's not a light beer and costs more than one. Consumers don't care where it's from. —Via Lew Bryson, at YFGF. A beer can be Kosher, but, during Passover, no beer is Kosher. —Via Steve Frank and Arnie Meltzer, at YFGF. The recording artist known as Prince has died at age 57. The Chicago Beer Riot began today in 1855, caused by prejudicial actions against immigrants (German, Irish, Catholic) and large fee and tax increases on beer and taverns. 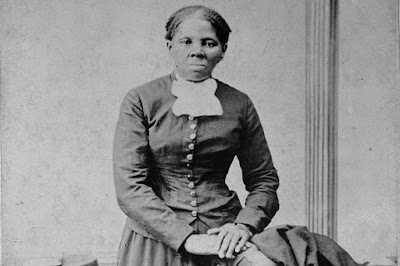 Abolitionist and former slave, Harriet Tubman, to replace slaveholding President Andrew Jackson on the front of the $20 bill; Alexander Hamilton to remain on the $10. Treasury Secretary Jacob J. Lew announced "the most sweeping and historically symbolic makeover of American currency in a century," also adding women and civil rights leaders to the $5 and $10 notes. How April 20 ("420") came to be ‘Weed Day,’ and 4:20pm the time of day to smoke marijuana. A successful brewer resigns from [U.S.] Brewers Association Board of Directors because ... he is successful. With his craft beer company being acquired by [Anheuser-Busch InBev] the world’s largest beer producer, Devils Backbone Brewing Co. co-founder Steve Crandall is relinquishing his position on the board of a trade group for craft beer makers. “It was a requirement,” Crandall said of his decision to resign from the board of directors of the Brewers Association, which represents craft beer companies across the nation. “We are considered no longer independent,” he said of Devils Backbone, Virginia's largest craft beer maker by volume. ﻿1,400 activists have been arrested at the Democracy Awakening and Democracy Spring protests in Washington, D.C., but few in the media have covered it. The march and arrests were the culmination of Democracy Awakening, a weekend of workshops, rallies, speeches, and demonstrations of civil disobedience that brought thousands of activists from across the country together in DC. They are fighting to protect voting rights, to end the corrosive influence of big money on the political system and to force Republicans to confirm Barack Obama’s nominee to the Supreme Court. Anheuser-Busch InBev's America: map of its 'craft' beer acquisitions, as of April 2016. The one category of interest that these acquisitions bring to mind has to do with strategy, future acquisitions, and timelines. How many breweries does Anheuser-Busch InBev need to complete their 'High End' portfolio? What do they plan to do with these beers? How will the US strategy unfold as ABI pairs the 'High End' brands with the flagship mass market lagers? All interesting stuff. We have begun to suspect that ABI is looking to knit together a portfolio of regional breweries, so looking at the map might suggest where they're headed next. We know that they tend not to purchase very large breweries--50,000 to 100,000 seems to be the range. After twenty years together, Lew Bryson and Whisky Advocate magazine have parted ways. Reading that the Whiskey Advocate is "going in a different direction" and no longer requires the services of Mr. Bryson —one of America's foremost writers on beer and whiskey— is like listening to a lecture on bourbon with only a glass of water to drink. —Via Lew Bryson, at Seen Through A Glass. Is Anheuser-Busch InBev about to "steamroll craft beer into submission?" The sheer number and regularity of AB InBev's craft beer buys has been overwhelming. Starting with Goose Island in 2011, the craft portion of AB InBev's craft and European imported beer unit, The High End, is now approaching one million barrels a year. [...] (To compare, Boston Beer's volumes last year were 4.2 million barrels). 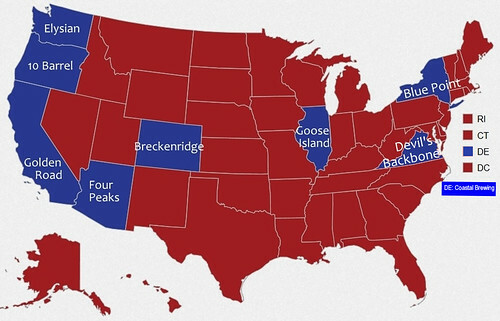 A likely strategy from a company that already owns the biggest-selling beer in the US and controls a portion of the industry's route-to-market through its owned-distribution network [...] appears to be the following: position Goose Island as the national craft beer while using the smaller brewers as a network of local brands that will eventually - after future acquisitions - cover the whole country. The crowded middle-ground of brewers - those a few notches below Boston Beer and Yuengling - are under pressure to get big while they still can or stay local and hunker down. The combined clout of The High End unit - with Goose Island leading the way - will come in useful as the US craft beer scene becomes more competitive. Expectations are that a shake-out will send a lot of the smaller brewers to the wall as high growth in consumer demand slows and costs rise. The Centers for Disease Prevention confirms that the Zika virus causes microcephaly and other severe fetal abnormalities; the epidemic that has spread to more than 40 countries. There were 4,824 breweries operating in the United States at the end of 2015, says the TTB (the Alcohol and Tobacco Tax and Trade Bureau of the U.S. Department of the Treasury). Together, these breweries brewed 175,243,006 barrels of beer. In addition, there were 1,811 more breweries not yet brewing but with their licenses in hand. That's 6,080 "permitted" breweries already on the playing field in the U.S. for 2016. Some members of Congress plan to affix the Craft Beverage Modernization and Tax Reform Act (CBMTRA) as a rider to the Federal Aviation Administration (FAA) Reauthorization Act of 2016, "a 'must-pass' bill that would reauthorize the FAA and specified FAA programs." As written, CMBTRA reduces the federal excise tax to $3.50 per barrel on the first 60,000 barrels for domestic brewers producing fewer than 2 million barrels annually. It also reduces the federal excise tax to $16 per barrel on the first 6 million barrels for all other brewers and all beer importers. “There are some tax provisions in the FAA Act which make the craft beverage bill a potential add-on,” Beer Institute president Jim McGreevy told Brewbound. “We have a lot of support in the Senate and a lot of support in the House. There are a lot of members of Congress that think beer tax reform is a good idea, so I am hopeful.” “We are working with our congressional supporters to have it added to the FAA act,” said Brewers Association CEO Bob Pease. Important to the 'craft' beer business, but under what logic is it essential to air traffic safety? Lithuania and its peculiar, little-known farmhouse ales: kaimiskas. When we name the world’s great beer-drinking people—the Czechs, Germans, Belgians, Brits, and what the hell, Americans, too—we probably ought to include the Lithuanians. —Via Joe Stange, at DRAFT Magazine. 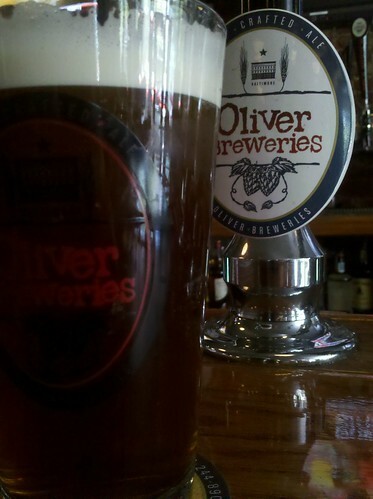 American drinkers, unless they travel frequently to the UK, will struggle to get to know Bitter. It doesn’t translate well into bottles and the best examples derive their character from the gentle carbonation and an almost-but-not-quite imperceptible funk imparted by cask-conditioning; from subtle variations between house yeast strains; and, crucially, from context. [...] Bitter is the quintessential English beer. Low in alcohol, light bodied, typically amber-brown in color, it seems to represent the essence of a country where pubs are Victorian and emotions are kept in check. [...] Today in the UK, Bitter is not a strictly governed style and beers bearing that appellation might be golden to red, drily bitter or honey-sweet, rich in hop perfume or rather austere. Depending on strength, they might be called “Ordinary,” “Best,” or “Extra Special Bitter (ESB).” [.. .Exploding] in layers of flavor —hay, earth, newly mowed grass, orange marmalade, and baking bread. [...] There is no shopping list of grocery store flavors and aromas here: it tastes and smells like beer, with a stolid, single-minded bitterness that defies pretension. 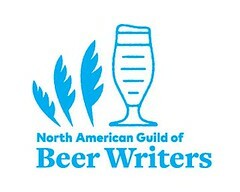 —Via Jessica Boak and Ray Bailey, at Beer Advocate. Today's Clamps & Gaskets is one week overdue. My editor is not pleased.